2019 Championship Leaderboard Darley Moor M.C.R.R.C. Darley Moor Sports Centre are pleased to announce RPM Bikes have agreed to become the circuits Race & Track Day parts and accessories suppliers for 2019. Having been involved with Loose Cannon Track days for some time now, it seemed the obvious choice to ask them to extend their commitment to include our Test and Race Days. 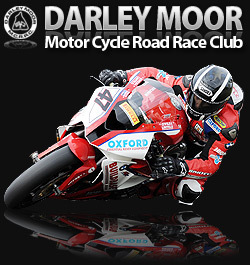 RPM Bikes will be attending all the Darley Moor Motor Cycle Club Road Race events and all the Test Days in addition to the Loose Cannon Track Days. Have a look at their website www.rpmbikes.co.uk to see their range of services, spares and accessories. They can also be contacted on 01604 153900 or e-mail iain.rhodes@rpmbikes.co.uk to place your orders. Including 2019 STARS AT DARLEY. The UK's Number 1 online retailer for motorcycle helmets, motorcycle clothing and motorbike accessories.